Positive and negative energies are all around us. Being connected mentally and energetically with everything else, picking up some of these energies is guaranteed. Interacting with others while swimming in this pool of entanglement it’s really hard to filter out only the energies that you find appealing. However, this does not mean that you can’t do anything about negative energies. Even though you should not try to block every tiny negative vibe, there are techniques that can help you shield yourself from negative extremes. Problems arise when you pick up more negative energy than you can handle. This low vibration energy will have a devastating effect on your mental stability and physical well-being. It will manifest in your mood as either feeling sad or depressed. But there is no need for you to stay away from people. And sometimes these people who emit low vibration energies are close people, friends, family, and avoiding is not the right move when it comes to people you love, no matter what they emit. 1. Closing your auric field. Your aura is said to extend up to 6 feet. When your aura is expanded this far, it means you can easily pick up foreign energies. In a room where people tend to get closer to you such as elevators or public utility vehicles, protect yourself by closing your auric field. Do this by crossing your arms and legs. Or imagine your aura sticking around you. 2. Shortening your stay in a place. Acquaint with your surroundings. Be aware of the people or strangers you will possibly meet. By knowing your surroundings, you are able to prepare yourself to protect your aura. Once you feel that the place would not do you any good, shorten your stay in that place. Choose properly the right words to use in your graceful exit. Remember, you are not avoiding, you are just shortening your time around negativity while still trying to help. 3. Not reacting to negativity. When people express negativity, especially in heated debates or conflict, never allow yourself to be carried away. Instead, maintain your calm and summon your positive thoughts. Always think of ways to find a solution and reach the aim of the conversation. Do not invest with your ego to determine who is right or wrong. By staying calm and positive, you prevent yourself from being influenced by other’s low vibrations. If things escalate, either try to change a more positive topic, or remove yourself from the situation. Meditation strengthens your spirit as well as your aura. When you are spiritually strong, low vibration will have a hard time penetrating into you. The inner peace and calmness that meditation brings, are your best shields against negative energies. By practicing meditation, you are connecting to your higher source which wards off any negativity around. Exercising daily will keep your energy from being stagnant. This makes your body and mind alert. It improves your self confidence and self esteem. When you are alert and confident, your energy is more fortified. You are more aware of what’s going on inside and outside of you. Hence, negativity couldn’t stick with you. Besides, when you are physically and mentally healthy, your positivity quotient is at its high. This means your positivity is strong enough to not get easily affected by any negativity around. 6. 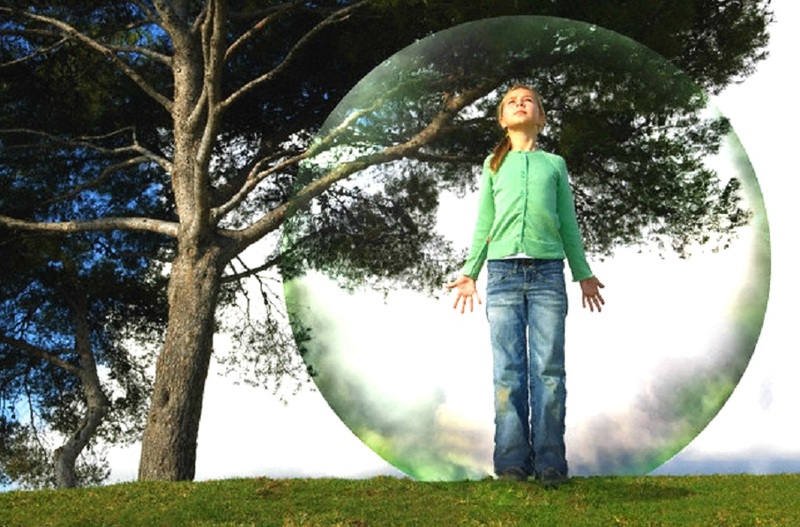 Surrounding yourself with an energy shield. With the power of your mind, create an imaginary shield all around you. Let this shield protect you from negativity and any low vibration energy. Make this shield pervious so as to allow you to send energy but prevent outside energy to enter. See to it that this energy shield will last for hours. When you protect yourself from this low vibration energies, you are not only taking care of yourself but that of your loved ones too. Because they are also able to pick up whatever energy you emanate.